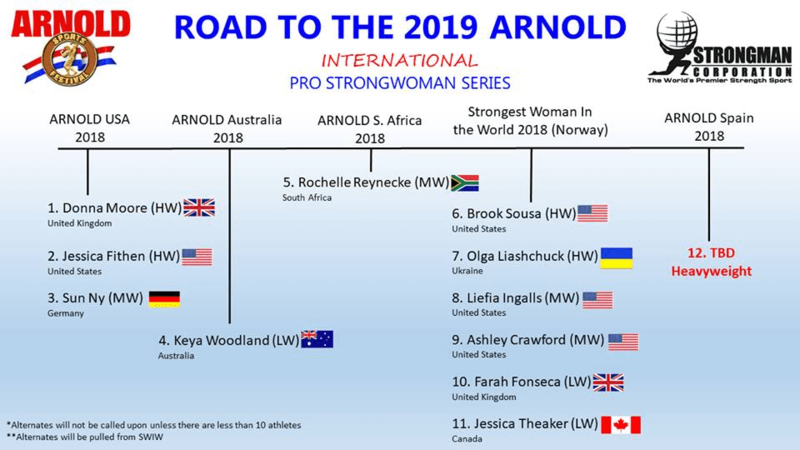 The Arnold Pro Strongwoman is back for its third year , featuring at least 10k in prize money it is one of the most prestige events for Pro Strongwomen. 12 athletes have qualified from various contests you can see a graphic explaining who and where they qualified below. Note Andrea Thompson of the UK won the Arnold Spain to qualify. Stone shoulder- 220lbs on Rogue stage 60 seconds.